Swiss-based Astrocast announced it had signed an agreement to use Leaf Space ground stations to communicate with its satellites. It’s the latest step in building a 64 nanosatellite constellation designed for global Internet of Things (IoT) coverage. 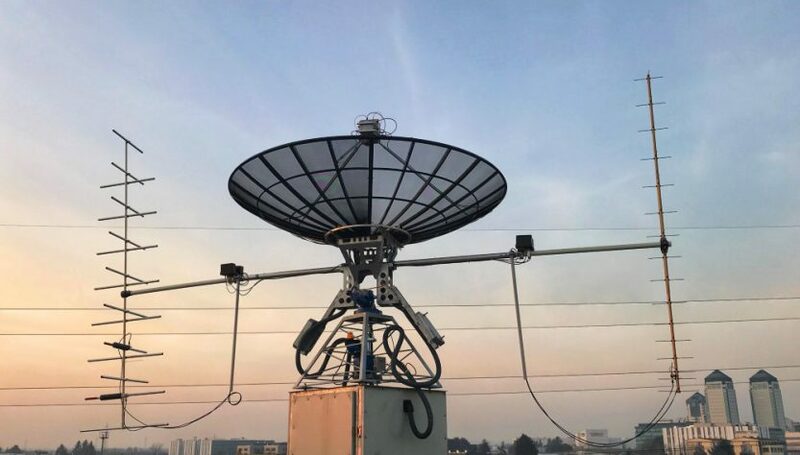 Leaf Space will build and operate up to 12 antennas for Astrocast to communicate with its satellites, with the antennas located across six locations and providing dedicated service solely to Astrocast and its worldwide customers. The “Leaf Key” ground segment solution will provide communications to Astrocast’s eight orbital planes of spacecraft, with each plane composed of eight operational spacecraft plus two orbital spares. Each time Astrocast launches a new plane of satellites, Leaf Space will put up additional antennas, so there’s a pay-as-you-go style model here at work. Astrocast’s first two pathfinder satellites are going onboard the Spaceflight SSO-A launch this fall and an Indian PSLV flight occurring by the end of the year. In the third quarter of 2019, the company will launch its first operational plane of satellites, followed by a second plane onboard a Vega flight brokered by D-Orbit scheduled for launch in late 2019 or early 2020. Key verticals Astrocast plans to serve include maritime, oil and gas, mining, supply chain and logistics, transportation, utilities, agriculture, and “many others.” Astrocast is working in partnership with the European Space Agency, Airbus, and Thuraya, with Airbus and Astrocast developing a low-cost ASIC and module to provide a power-efficient satellite modem for IoT applications. Astrocast’s latest announcement signals the company continues to move towards commercial operations at a steady pace, but it finds itself in an increasingly crowded sector. Kineis showed up earlier this month claiming the title of first “European constellation of nanosatellites” – something that Astrocast and Netherlands-based Hiber Global could dispute.